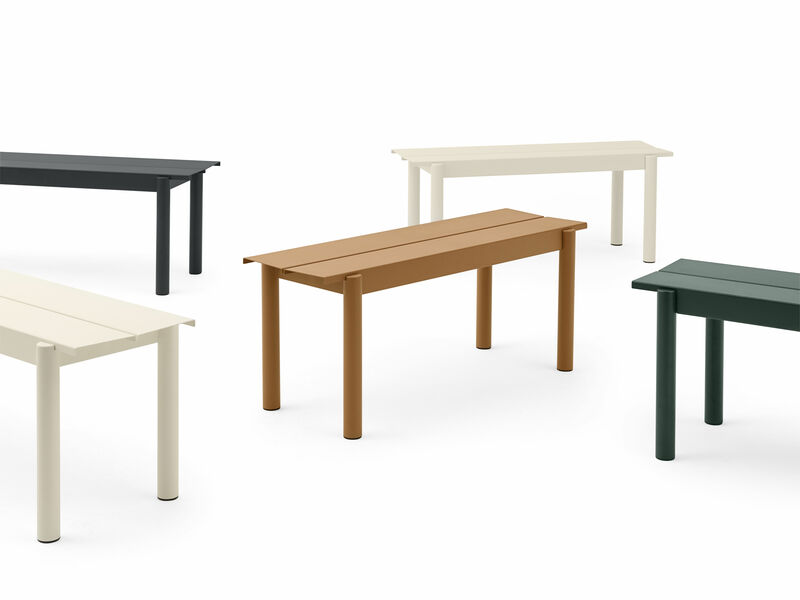 The new Scandinavian style by Muuto for your gardens and terraces! 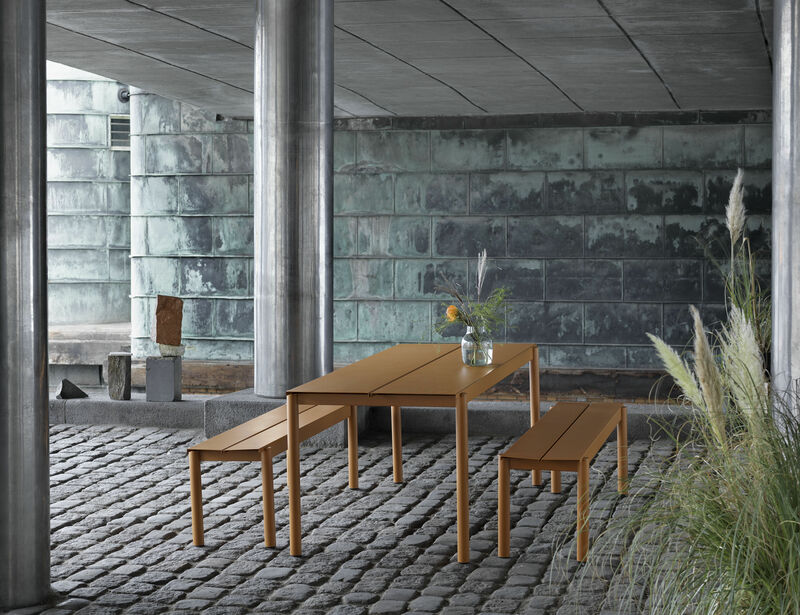 The Linear collection from the Danish designer, Thomas Bentzen is characterised by straight and rigorous lines and a pure, sophisticated and modern design. 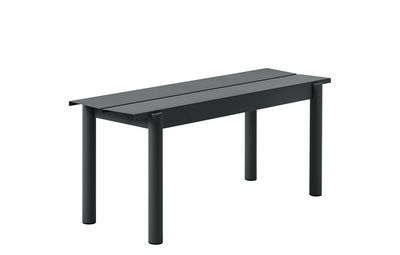 Robust and durable, this steel furniture has undergone specific treatments so that it perfectly resists bad weather and UV rays. All the sophistication of Linear is focussed on the care taken over the details: the edges folded away, the fine slit in the middle of the seat allowing the water to run off, the semi-circular legs. Linear has an elegant contrast of shapes. 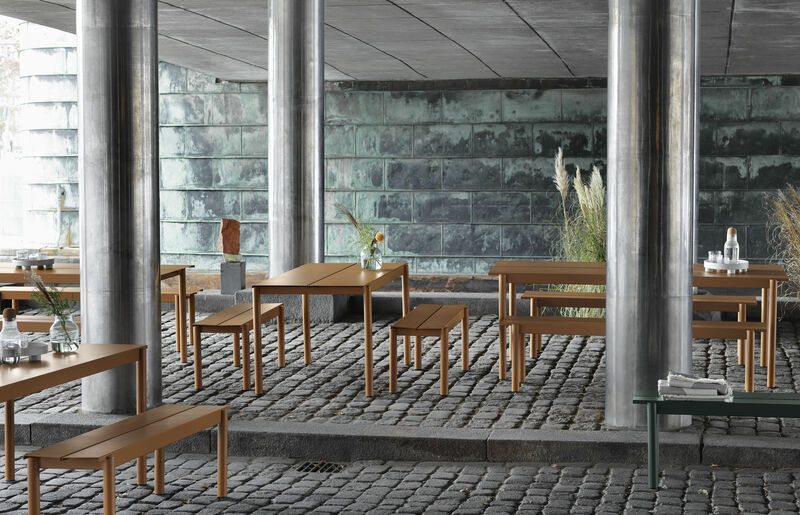 The rigorous and linear forms of the seat are combined with the roundness of the semi-circular legs. The four legs are fixed on the outer edge of the seat: this graphical sign affirms the identity of the collection and softens the outline. 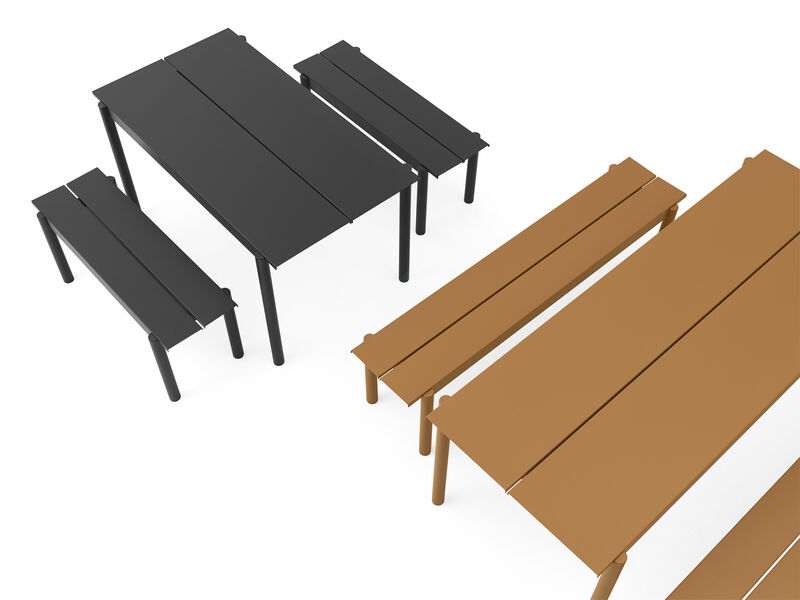 The Linear collection consists of tables with matching benches.